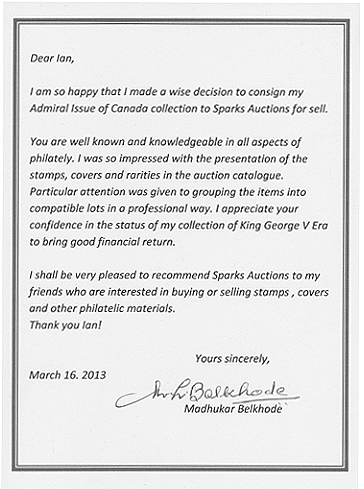 Sparks Auctions is committed to offering carefully described material with collectors in mind. We provide exacting descriptions accompanied by full-colour illustrations, promoted both on-line and in our printed catalogues. We do not own the material that is offered in our auctions. Our lotters work with a large base of new and repeat consignors to give their consignments the attention they deserve. This approach is well-rewarded by our auction realizations. From an active customer list of thousands, we mail hundreds of print catalogues. 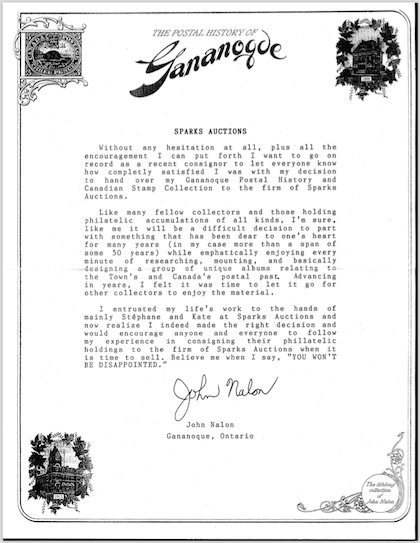 Many more buyers view the material only in our detailed on-line listings, including PDFs of the print catalogue. We receive site visits from hundreds of registered bidders in the weeks before the sale. 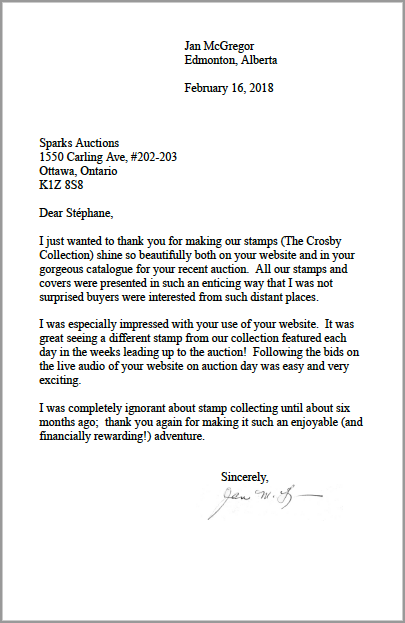 To accompany our live auction floor in Ottawa, we feature full interactive live bidding on Stamp Auction Network, including live audio from the auction gallery so you can follow the bidding action from home. 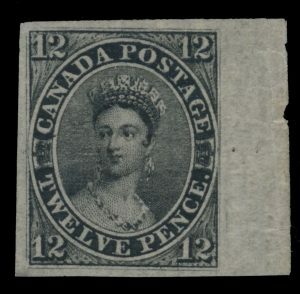 When the last lot has been called, we will have seen bidders from across Canada and the United States, with others coming from Great Britain, Europe, Australia, New Zealand, India, Asia and South & Central America. We typically have in excess of 700 bidders, more than 300 of them successful. Our consignor fee is 20% of what your material sells for. You will receive a payout cheque 45 business days after the close of auction (to allow us time to collect payment from successful bidders, and for those items which require expertization to be processed). Contact us if you have material you think might be appropriate for a coming auction. We regularly hold three sales a year, in January, May and September. Our thrice-yearly auction schedule allows us to properly source and deal with incoming material, promote it, sell it and collect the proceeds for you. It can take a year until you see the last residual cheque for your consignment. We do not purchase stamps! Please do not send unsolicited scans to our e-mail address; we will get back to you with instructions for transmitting files. Contact us early and learn why we have earned consignors’ trust.